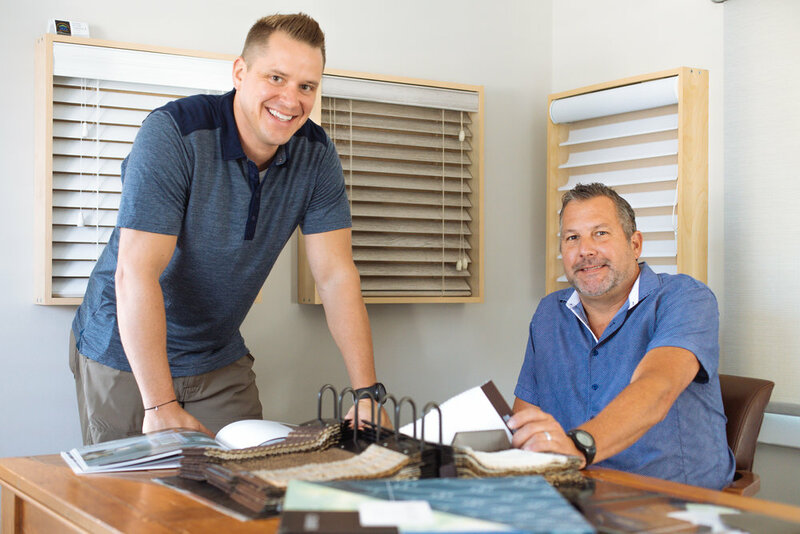 SBS - The Shutter, Blind & Shade Co.The Shutter, Blind & Shade Co.
Our service-oriented, customer-first company runs efficient and buys smart so you can enjoy quality window fashions for less. With over 35 years experience Jay Moore and Mike Ballerini have been assisting East Tennessee homeowners in selecting the perfect window treatments for their homes. Buying a new home, remodeling, or decided it’s time for a fresh new look, SBS has the right solutions at the right price. SBS is East Tennessee’s leading source for custom window treatments. We provide high quality, affordable window treatments with unrivaled service and expert installation. Get the most for your money and experience the benefits and ease of at-home shopping with The Shutter, Blind & Shade Co. Your personal consultant will guide you to the treatments that match your needs, taste, and budget; while you evaluate your choices in your home’s lighting, colors and furnishings. Showroom now available by appointment! The Shutter, Blind & Shade Co. is proud of our work. We believe in ethical business practices and happy customers. Our consultations are relaxed and friendly. We arrive on schedule, immediately process your order for the quickest possible install time and professionally install your treatments ourselves. Your pro-fit measure and installation is guaranteed. If there is a problem, we fix it. The Shutter, Blind & Shade Co. is fully licensed and insured. *Primary service area = 50 mile radius of Knoxville (37919 zip code). Minimum purchase required for outlying areas.